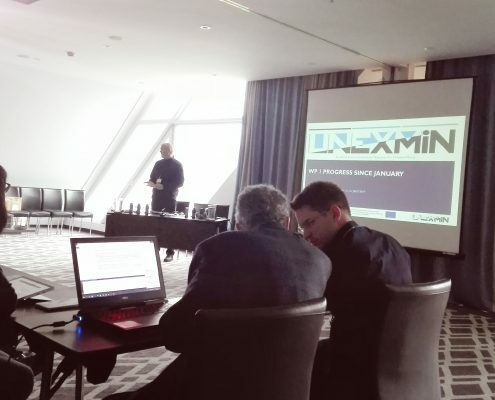 The UNEXMIN project consortium partners got together in Bled, Slovenia, during the 31st of January and 1st of February, to discuss about the many current project achievements and future prospects for the development of the autonomous UX-1 robot and its innovative technology to explore and map flooded mines. 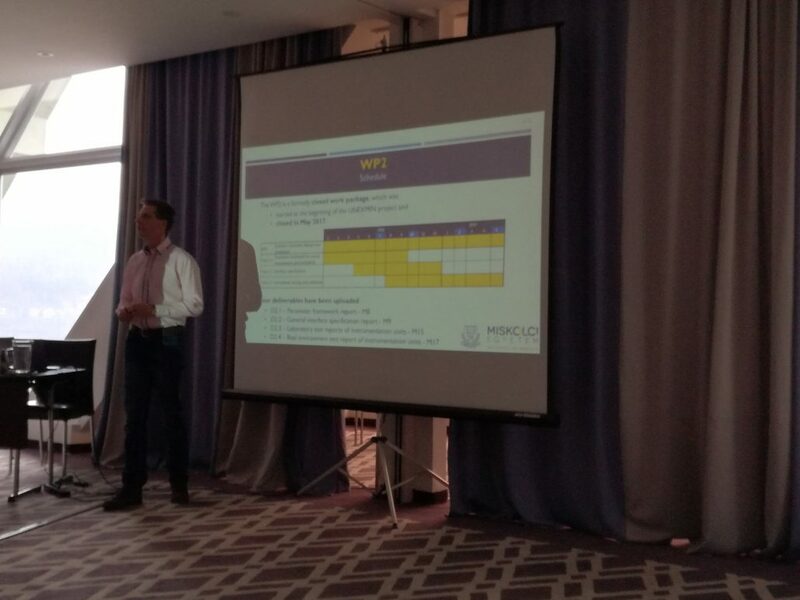 WP8 – Dissemination, technology transfer and exploitation: communication activities done by the consortium partners, plans for the future research roadmapping and technology explotation tasks. The meeting proceeded with two important sessions: the Advisory Board and Steering Committee meetings. 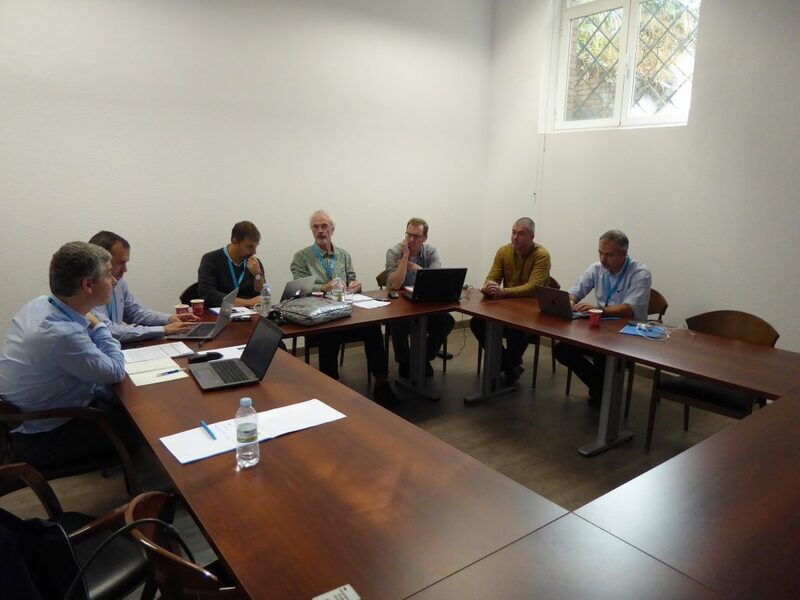 On the first, discussions were driven by the comments of the 6 advisory board members present – their objective is to help the project improve, making helpful suggestions from their vast expertise in the robotics and raw materials fields. 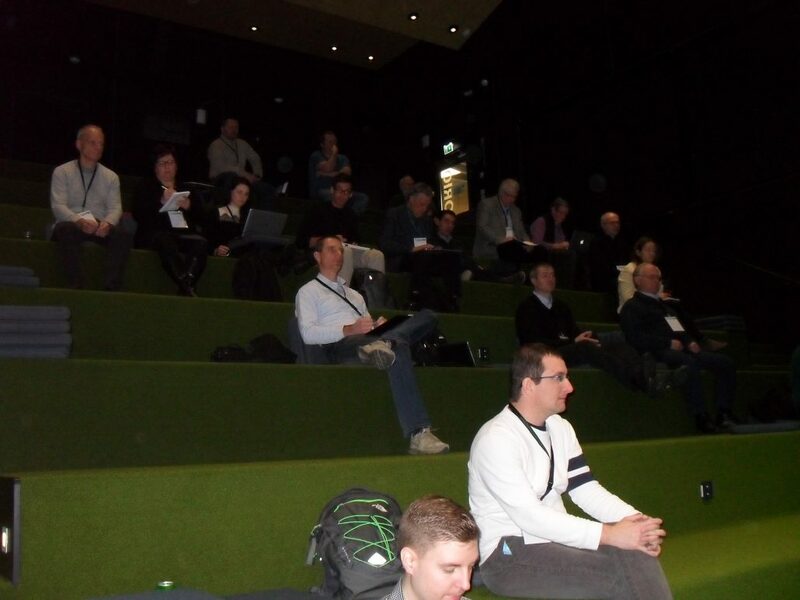 The steering committee was the place where the partners could discuss important topics and take crucial decisions. 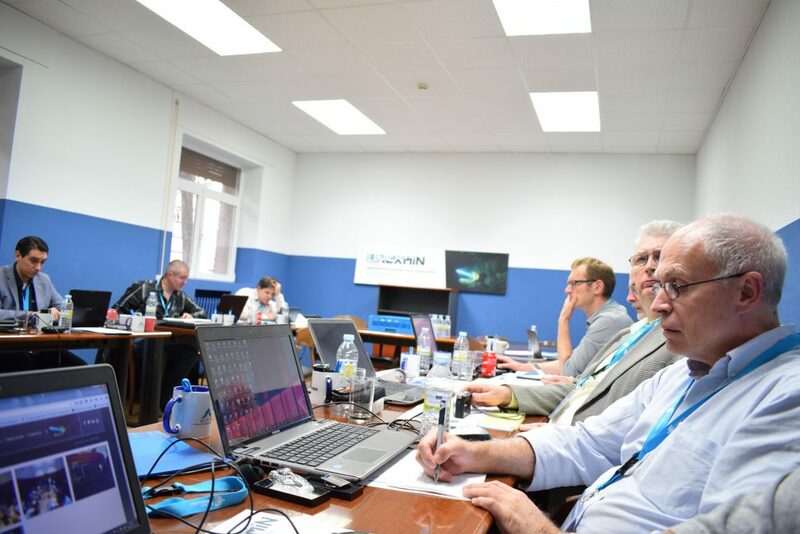 At the same time as these meetings were held, there were parallel technical discussions on the development of UX-1 and the preparations for its assembly during April. 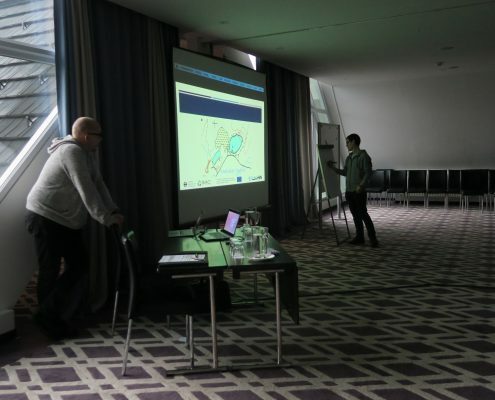 A virtually reality set that created a lot of expections to a feature that is still to be developed for UNEXMIN by the project partners, together with some of the developed sensors were also shown around to participants. 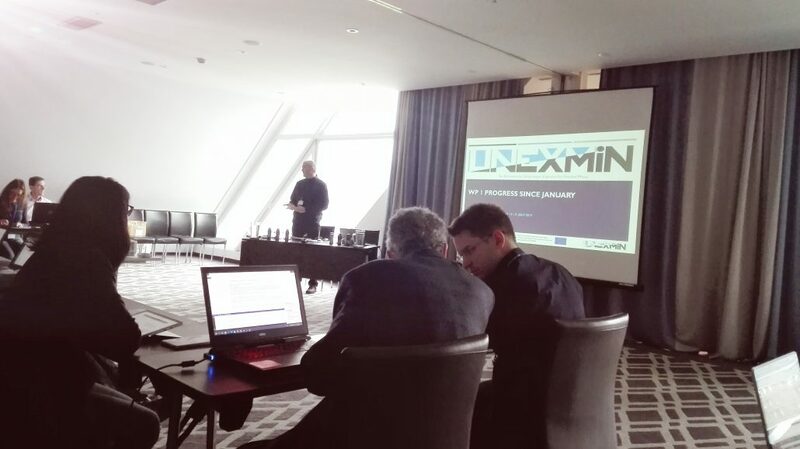 The second day was reserved to technical discussions, mainly focussing on the first trial for the UX-1 robot, and the UNEXMIN technology. 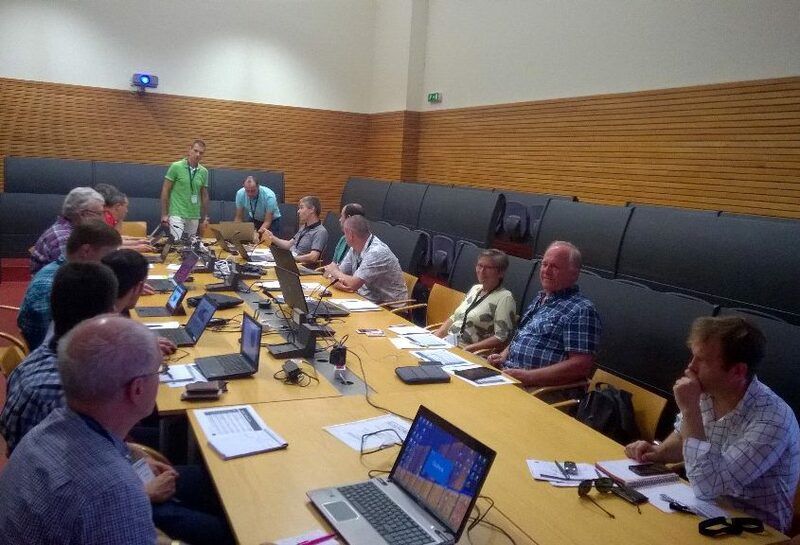 This first test will happen between the 11th and 25th of June in the Kaatiala pegmatite mine, Finland. It intends to give the first field results on the exploration and mapping capabilities of the robotic system. Feedback from this trial will then be used by the technology developing partners to further upgrade the robot. This process will make the robotic system ready for the second trial at the Idrija mine, in Slovenia, to happen at the beginning of September this year. 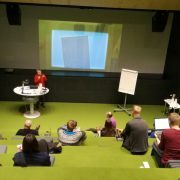 Following the discussions, the consortium held an interactive debate regarding the future exploitation of the results – that will be translated into the creation of a company offering the UNEXMIN services to the market. 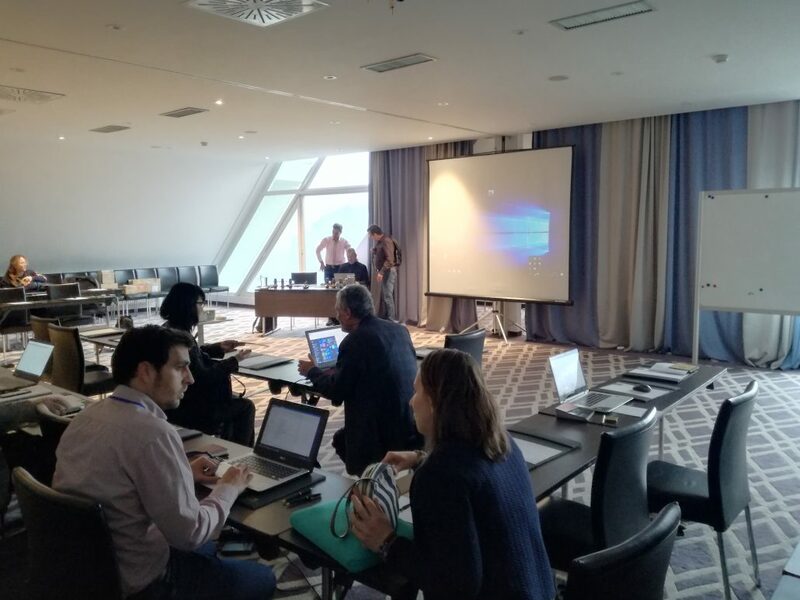 In the end, and after all the debates regarding the past, present and future state of the UNEXMIN project, the meeting in Bled was very rewarding! 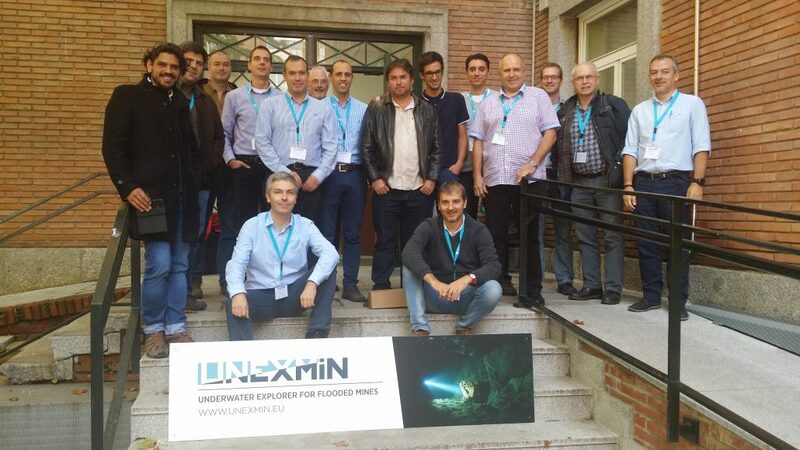 The UNEXMIN consortium thanks the participation and good advice given by the advisory board and all other members. 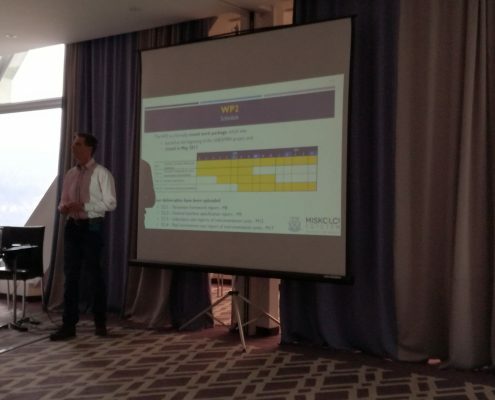 From the 4th of July to the 6th of July, UNEXMIN partners got together for a three-day meeting entitled “Progress Workshop”. As the name indicates, this workshop was a way to control the work being done by every partner in each of the eight work packages, to guarantee that the project is developing in the right way. 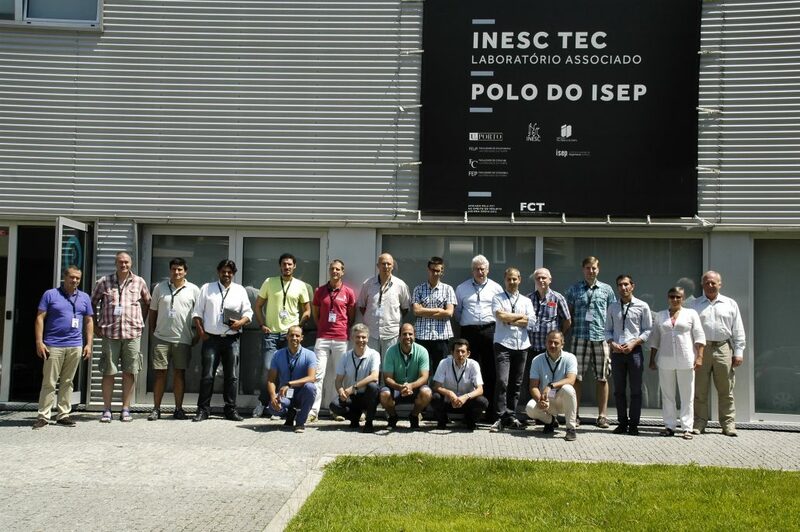 The meeting was hosted in Porto by INESC TEC at their facilities, which include a robotics development lab. 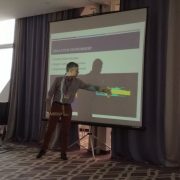 On the first day of the meeting, there was an overview of the project and a review of the work in each work package. Items included hardware and software developments, preparation for testing the robotic system and communication and dissemination activities. 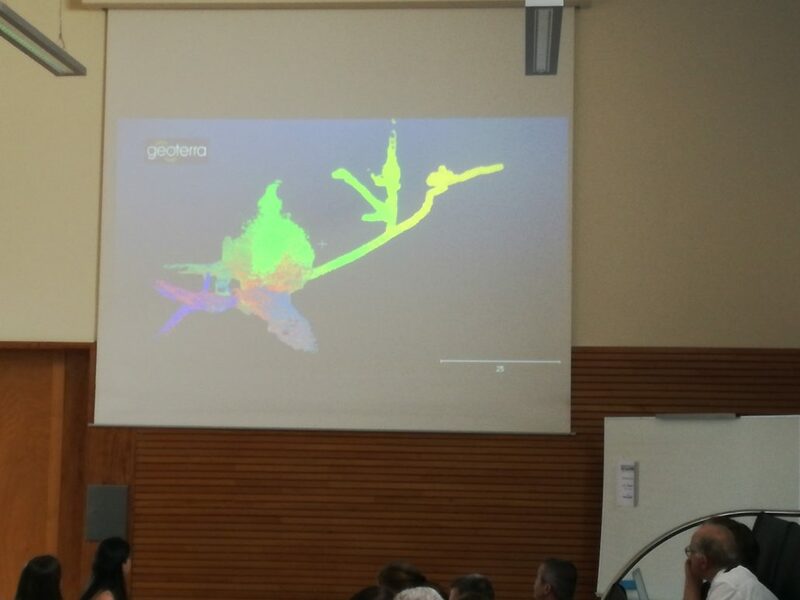 In a multi-disciplinary project like UNEXMIN (robotics, geology, technology development), it is crucial that the different teams share their work with the others. 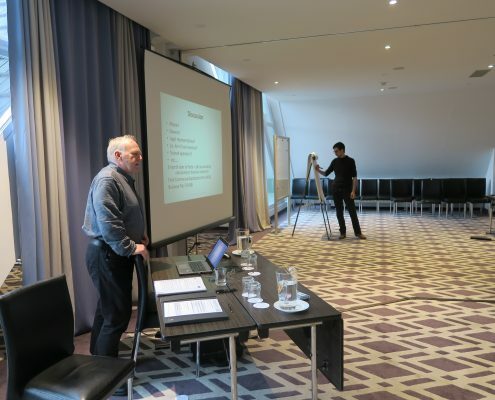 The Advisory Board members – experts in mining and geology – were present during the review of the project and gave their most valuable help to the project partners. Their guidance is very welcome – after all, they have the expertise. The second day was dedicated to a review meeting of the Work Packages with an evaluator of the European Commission. The evaluator considered the project as running well with everything having been done on time and with good development prospects. 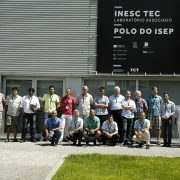 After the review, the partners visited INESC TEC robotics labs, where they have a local pool which is used for testing. 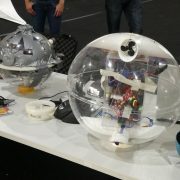 UPM, who built a UX-1 prototype, tested the robot in the pool, as you can see in the following video. 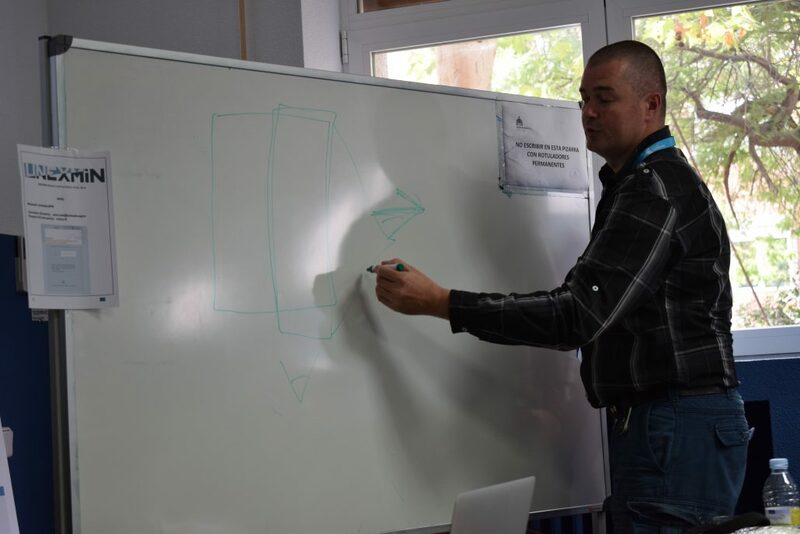 On Thursday, the core discussions for the development of the multi-robotic system were held. These included discussion on Work Package 3 – Autonomy for mine exploration and mapping, Work Package 4 – Multi-robot platform development, and Work Package 6 – Post-processing and data analysis functions. These work packages started recently, so discussions on their structure and content are of high importance. 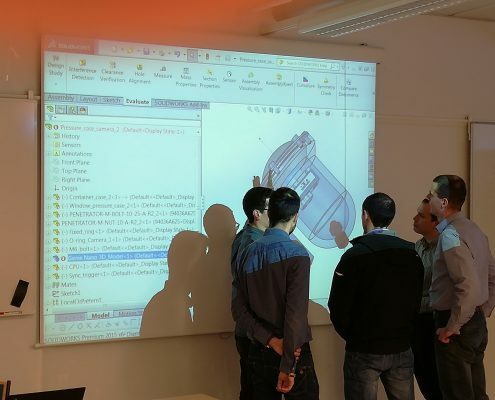 There is no time to make mistakes and the consortium is doing their best for the development of the multi-robotic system! 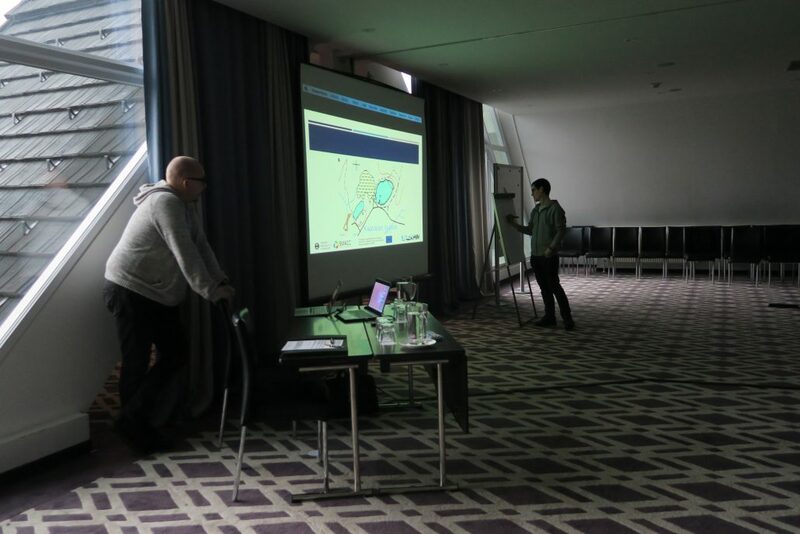 From the 31st of January to the 2nd of February, the UNEXMIN partners got together for an important three-day meeting entitled “Technology Appraisal Workshop”. 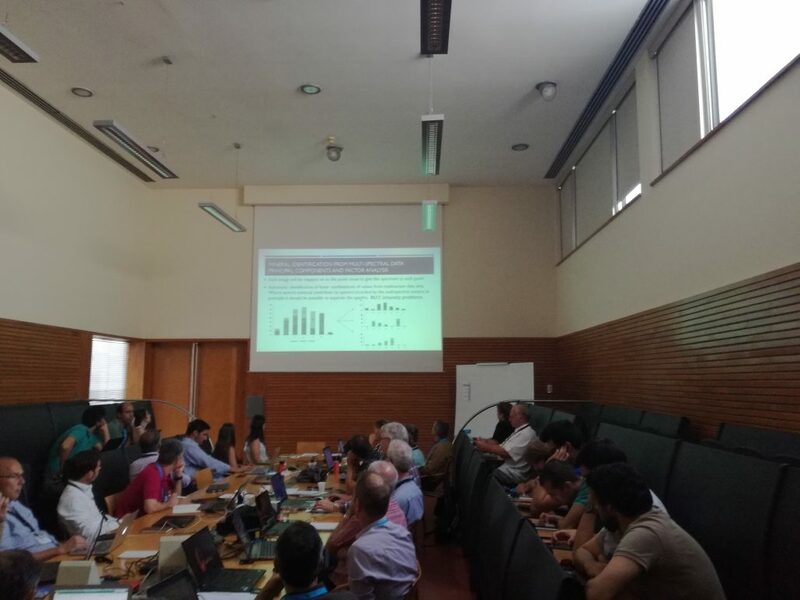 The main objectives of this meeting were to review the work done in all areas of the project including technology developments, instrumentation, dissemination, and more, to appraise the numerous technological developments, and to conduct discussions in technical workshops and two internal meetings (Steering Committee and Advisory Board) with the goal of deciding the way forward for the coming year during which we will shortly begin the construction of the first ‘UX-1’ robotic prototype. 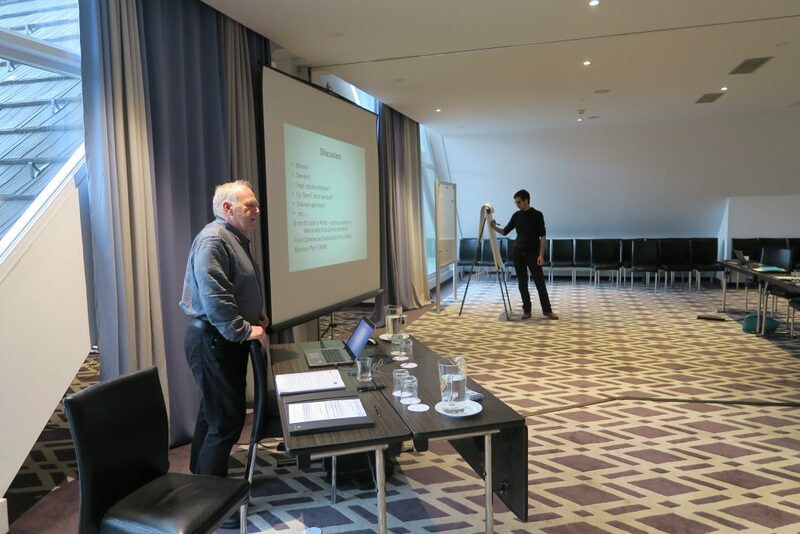 The Advisory Board, which includes professionals from robotics and raw materials, was present and gave their valuable input and expertise to the workshop. 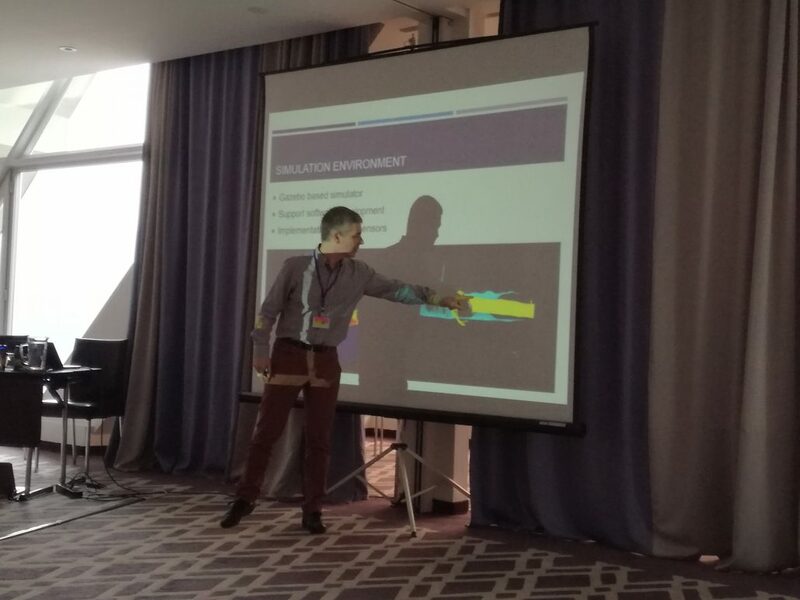 This convention also marked an important occasion for the project for two reasons: it took place as UNEXMIN completed one full year since its formal beginning in February 2016, and also Milestone 2, ‘UX-1 technical specifications delivered’, was successfully achieved. The first day was committed to a general revision of all the currently on-going work packages and involved all work that has been done until now. During this day, suggestions to improve the workflow arose. 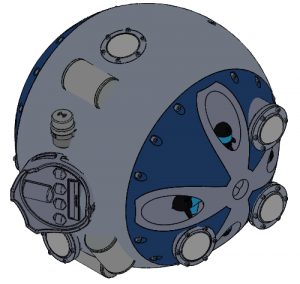 The consortium members could see blueprints of the mechanical-prototype (see below), the instrumentation that is going to be used, and even statistics about project material from the website and social media. The second day consisted of a major technology appraisal discussion which lead to a debate on topics relevant to the functionality of the multi-robotic system – collaboration between robots and support services -, as well as workshops on technological developments on control systems and data conversion, and communication and dissemination strategy, together with the kick-off of Work Packages 3 ‘Autonomy for mine exploration and mapping’ and Work Package 4 ‘Multi-robot platform development’ – both of which are starting very soon: these work packages will produce relevant work for the functionality of the entire robotic system. 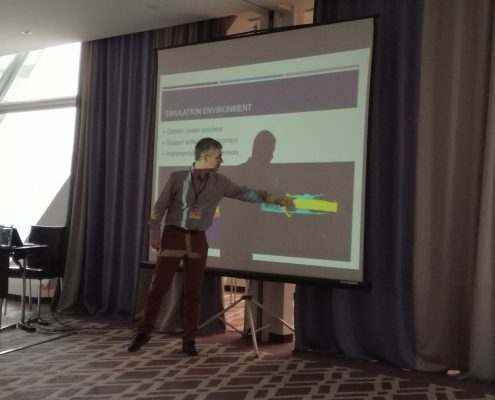 The third day was devoted to further technical discussions and decision-making on the mechanical design, sensory array and systems testing. UNEXMIN will now continue with the development and testing of further technical instruments – specially with scientific equipment and sensors. In the following months we expect to complete the laboratory and real environmental tests on the instrumentation units and define the robot’s software architecture and mechanics, among others. In twelve-month’s time we hope to deliver a major milestone when the first UX-1 robot prototype will be ready. The much anticipated construction phase will soon begin! 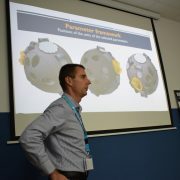 One of the main points from this meeting was the debate concerning the first prototype’s construction and development. 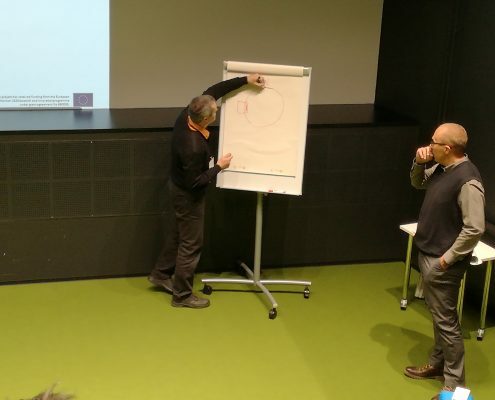 The questions raised about the project’s progress will have a final and determinant answer when UNEXMIN partners meet in Tampere in September, where they will take part in a one-week-work agenda totally devoted to clarify the next steps to take regarding UX-1. UNEXMIN partners also visited the labs of INESCTEC (Instituto de Engenharia de Sistemas e Computadores, Tecnologia e Ciência), one of the partners from the UNEXMIN project consortium, who are specialists in sea robotics, and who have past experience in this field related to UNEXMIN. 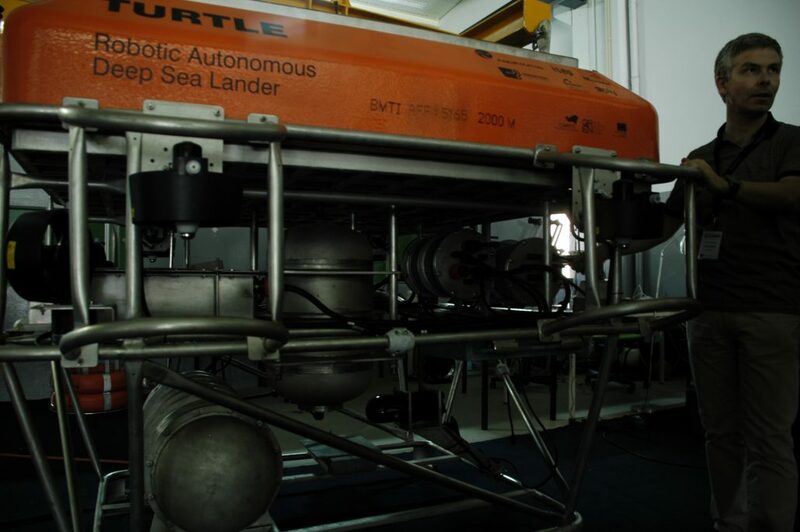 In the labs the consortium could see and learn how the past and current experience in deep sea robotics from INESCTEC will positively impact the UNEXMIN project and the development of a new technology trend – to have a multi-robotic platform capable of mapping flooded mines that are currently inaccessible.